Spring is in full bloom and that means it’s almost time to roll out the green carpet in honor of Earth Day. 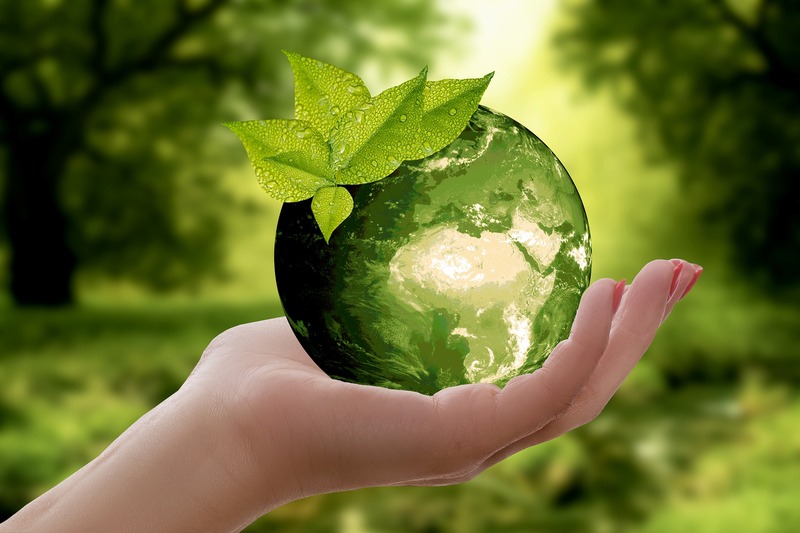 What started nearly 50 years ago as a day of education about environmental issues has since grown into a global celebration focused on promoting green living and driving the public to take action on environmental causes. While many individuals typically spend their time on Earth Day picking up trash, collecting recyclables, planting flowers, and getting outside to enjoy the beauty of nature, there are countless ways to celebrate the holiday that can make a difference all year long. Thankfully, there are a wealth of resources available to people all across the St. Louis region for celebrating Earth Day every day – not just on April 22 – by incorporating a few simple lifestyle changes into their daily routines that the planet and their health will appreciate. For starters, the region’s public transit system, ridesharing and bike-sharing services are all great alternatives to driving alone that are intended to eliminate the use of multiple vehicles on the road. Give your car the day off this Earth Day and plan to walk, bike or ride Metro to help reduce auto emissions and keep the air quality in healthy ranges. Ridesharing services such as Uber and Lyft match drivers of private vehicles to those seeking transportation and are a well-designed option for group outings. To practice greener living year-round, consider leaving your car at home just 2 days out of the week and catching a ride in the morning with friends or coworkers to save 1,600 pounds of greenhouse gas emissions annually! RideFinders, the regional ridesharing agency, can also help individuals find carpool or vanpool partners to share the ride. The good work for our planet doesn’t have to stop there as this year marks the 30th anniversary of the St. Louis Earth Day Festival. This treasured community tradition provides area residents the unique opportunity to learn about sustainable products and services offered by local businesses and organizations, meet local area non-profits that share Earth Day values, as well as enjoy local entertainment and the best eats from Green Dining Alliance restaurants. The Muny grounds in Forest Park will once again be home to the highly anticipated event April 27-28. Attendees are guaranteed to leave a little more inspired about real progress being made to preserve the Earth and a little more connected to those on the front lines. Earth Day 2019 is the perfect opportunity to get involved with your community, celebrate the planet we live on and give back to it to help create a better world for generations to come. To learn more about the link between living greener and our air quality, visit our website tips section at www.cleanair-stlouis.com, like us on Facebook or follow us on Twitter at @gatewaycleanair. As the Redbirds prepare to return to Busch Stadium on Thursday, thousands of baseball fans will flock to the streets of downtown St. Louis to celebrate the highly anticipated home opener. Although there will be lots of food, fun and entertainment for families and fans both inside and outside the stadium throughout the day, the festivities aren’t such a party for the environment. Metro Transit – MetroBus and MetroLink are always great options for getting downtown on game day. Catch the #40 North Broadway or #99 Downtown Trolley routes, which both have stops near Busch Stadium, or ride on any one of 19 MetroBus routes to the Civic Center Transit Center, which is located a few blocks west of Busch Stadium. 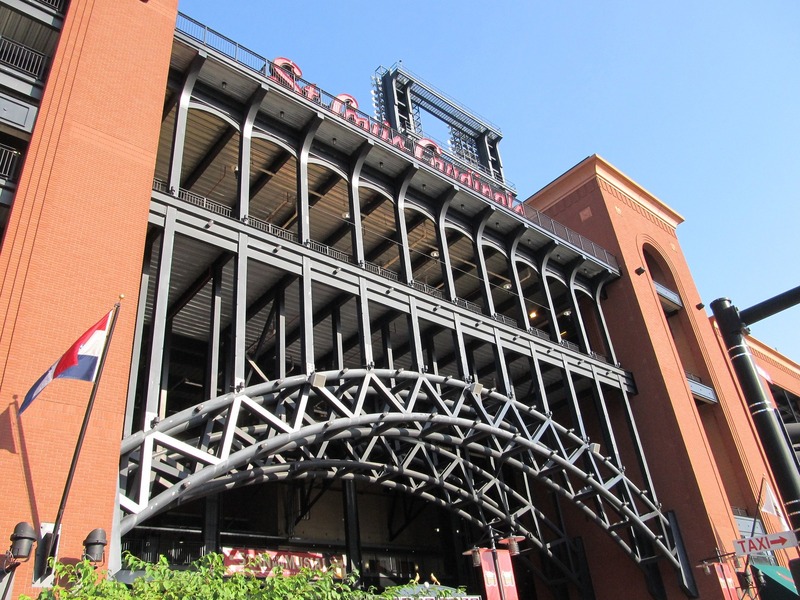 Otherwise, leave your car at any one of 21 free Park-Ride lots located at MetroLink stations in Missouri and Illinois, purchase a $5 round-trip MetroLink ticket and ride to the Stadium MetroLink Station to get to Busch Stadium, Ballpark Village and Kiener Plaza. You can also take MetroLink to one of the other five downtown MetroLink stations to enjoy pre-game rallies and activities while cutting down on harmful auto emissions. Redbird Express – Fans in St. Clair County, Ill., can also take advantage of the Redbird Express, a popular special bus service provided by SCCTD that served more than 100,000 passengers in 2018 and is ready for another year of record-setting attendance! The Redbird Express takes the stress out of game day traffic, bridge construction, parking, gas expenses and more by allowing game-goers to sit back and enjoy the ride to and from the game. Busses depart from St. Clair Square near the water tower 2.5 hours before game time with the last bus leaving one hour before the game begins, dropping off and picking up fans just steps away from the stadium’s gates. Fares are $5.00 per adult and $2.00 for children ages 2 thru 12. Ridesharing – Ridesharing services such as Uber and Lyft match drivers of private vehicles to those seeking transportation and are a great option to eliminate the use of multiple vehicles. With transportation-related emissions being one of the biggest contributors to air pollution, you can do your share for cleaner air by opting for a ridesharing service to get you to the ballpark to cut down on the number of vehicles on the road, which ultimately leads to fewer automobile emissions, reduced traffic congestion and improved air quality. You’ll also avoid having to pay to park! For more great tips on how to enjoy a greener game day experience and achieve cleaner air all year long, visit http://cleanair-stlouis.com/air-quality-tips/, like us on Facebook or follow us on Twitter at @gatewaycleanair. GO CARDS!